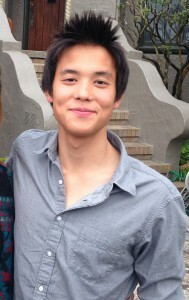 Shohei is a fourth year UCSC student double majoring in Neuroscience and Ecology and Evolutionary Biology. He is interested in animal physiology/morphology and has extraordinary plans to become a wildlife veterinarian once he graduates and attends vet school. He is the MSI instructor for Bio 20B and has done independent research projects in both Costa Rica and Corsica, France. He’s currently working with Chris Law on estimating bite forces in the Musteloidea super family – they hope use molecular data from Genbank and morphometric data from numerous skull collections to correlate and reconstruct certain phylogenies within Musteloidea. In his free time, Shohei loves to surf, SCUBA dive, backpack, and write bios in the third person! He can be further contacted at shoheiburns@gmail.com.